Kelly Sadler joked about McCain's illness. Now she's no longer working at the White House. The White House aide came under fire for reportedly saying last month that the ailing Arizona senator's vote didn't matter because "he's dying anyway." Kelly Sadler, the communications aide who reportedly mocked Republican Sen. John McCain's brain cancer diagnosis last month, is no longer working in the White House. "Kelly Sadler is no longer employed within the Executive Office of the President," said White House deputy press secretary Raj Shah. The story was first reported by CNN. The White House declined to condemn Sadler’s comment last month that McCain's vote on CIA nominee Gina Haspel didn’t matter because "he's dying anyway." The White House didn't deny she had made the remark and issued a statement at the time praising McCain, 81, who is suffering from an aggressive form of brain cancer. McCain has not returned to Capitol Hill for several months while undergoing treatment near his home in Arizona. Sadler, however, may be able to get another job within the Trump administration, White House counselor Kellyanne Conway said Wednesday. "There are other administration jobs open to her and to others who would like to interview for those jobs, they should definitely submit their credentials," Conway told CNN. 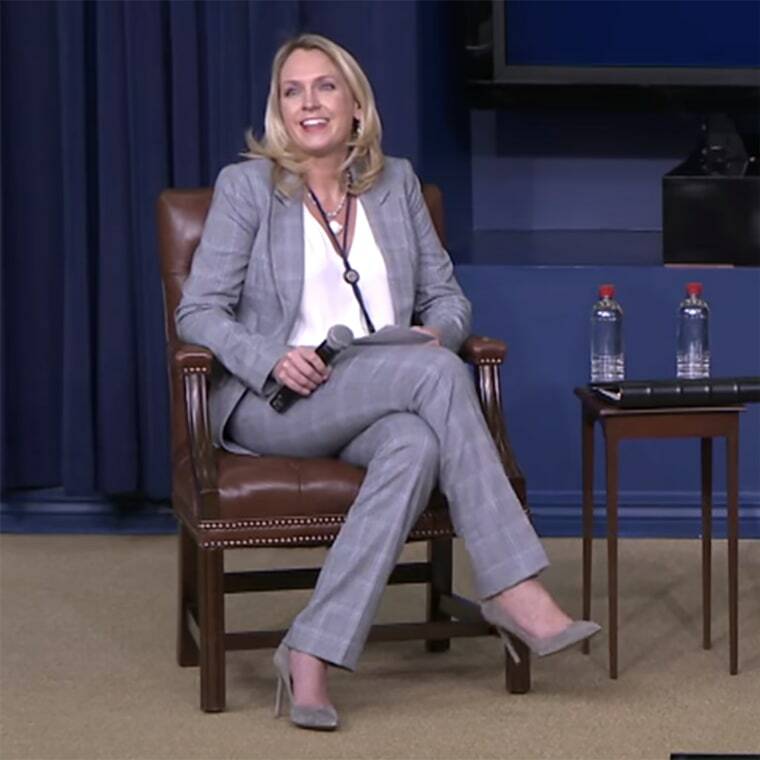 "Kelly Sadler has been told that there are administration jobs that fit with her skillset and her experience and that the rest is really her choice of what she would like to do next." Sadler's comment enraged Cindy McCain, the senator's wife, and caused a furor on Capitol Hill among lawmakers in both parties. Cindy McCain, in a Twitter post addressed to Sadler, said, "May I remind you my husband has a family, 7 children and 5 grandchildren." "There are no words," Sen. Jeff Flake, R-Ariz., tweeted at the time. "People have wondered when decency would hit rock bottom with this administration. It happened yesterday," former vice president Joe Biden, who was on the presidential ticket that beat McCain in 2008, said following the comment. At the time, Meghan McCain, his daughter, denounced the White House for keeping her on the payroll. "I don't understand what kind of environment you're working in that that would be acceptable and then you can come to work the next day and still have a job," she said on ABC's "The View." "My father's legacy is going to be talked about for hundreds and hundreds of years. These people are nothing-burgers. Nobody's going to remember you." However, Sadler did not leave the White House because of her McCain comments, The New York Times reported Tuesday night. Two sources suggested to The Times that Sadler was forced out over reports she had told President Donald Trump that Mercedes Schlapp, the White House strategic communications director, had been leaking to the press. Tensions between the two had reached the point where Sadler and Schlapp couldn't be in the same room together, The Times reported.